Earlier this week, museum professionals from around the country gathered right here in St. Louis for the 28th annual MUSE Awards, recognizing outstanding achievements in museum media and interactive technology. 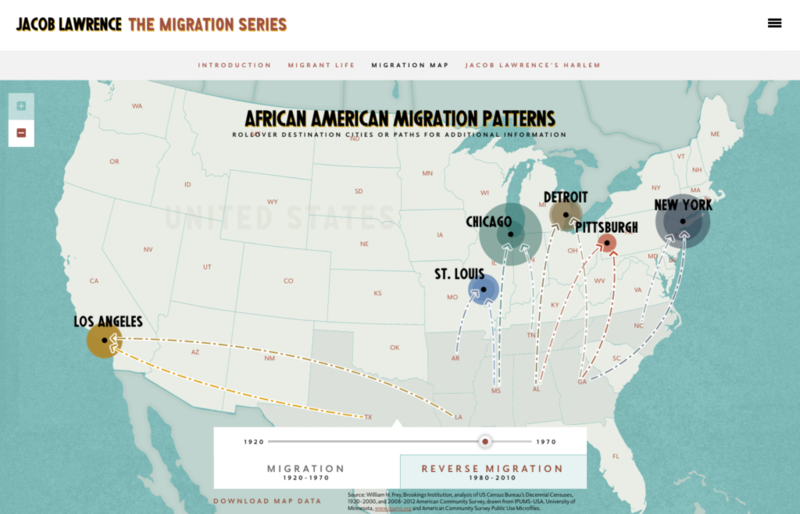 One of the night’s big winners was The Migration Series, an interactive microsite we designed for The Phillips Collection in Washington, D.C. The site took home a bronze award in the Online Presence category. The website lets visitors explore all 60 panels of Jacob Lawrence’s iconic series, with added context and resources on the art, the artist, and the migration movement that inspired him. 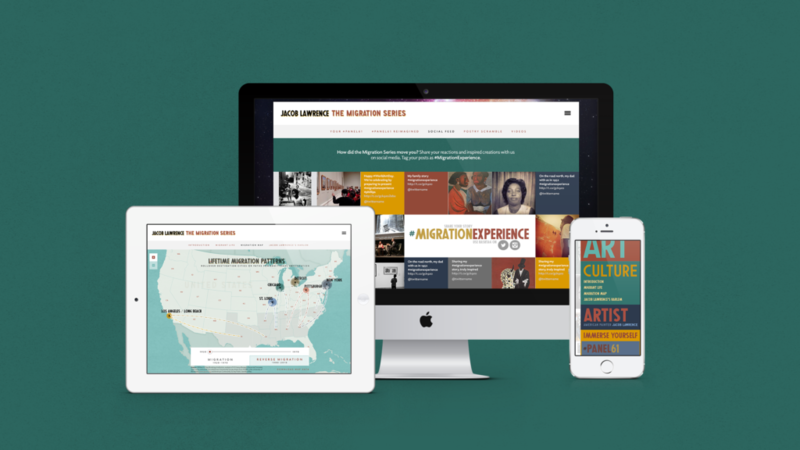 Visitors can trace patterns of migration on an interactive map, read letters from real migrants of the time, and explore the culture of Harlem through music, art, and video. The Phillips Collection also invites visitors to submit their own interpretations of migration in America today using the #Panel61 hashtag, or by creating a poem using the words of Harlem Renaissance poets and authors. Congratulations to our clients on this immersive and award-winning site! For more of TOKY’s AAM MUSE Award-winning work, check out the Mound City brochure we designed for Laumeier Sculpture Park.